Cool Topic. Why did it stop? If you want to love Beethoven, my advice is to go search out the "Herbet Von Karajan" (conductor) recordings of them. They are probably the best recordings you can get of them. If you like Rach, I love this excerpt from the "Isle of the Dead"
As a young composer I am quite torn about this issue as a result of my musical education. If I'm completely honest, I find a significant amount of modern/post-modern music to be... Schizophrenic. And there is an attitude that surrounds so much contemporary classical music which is that trite formulation that "If you understand it, you don't need it explained and if you don't understand it, then no one can explain it to you." the other pervasive attitude is this idea that "You must do something new" which generally translates to "something neither you, or anyone else really understands the point of". The flip side of this coin is that I understand what modern composers have been trying to do intellectually. They understand that just as combinations of pitches produce a certain sensation/emotion, so too does Timbre (The sound of the instrument/note), whether or not the beginning and ending of phrases is predictable etc.... ie. Trying to expression Tension and Resolution (Conflict and Triumph over it) using different auditory faculties. Impressionistic music, which has some gorgeous music in it (but also some not-so gorgeous music) did a lot of this "blurring" and the effect is that if you can't cognitively predict the start of the next phrase/period etc then the part of your brain which tries to do this goes "to sleep" and you are left processing the music cognitively in a different manner. What I'd like to be able to do with my music eventually, is what a lot of composers, in my opinion, have failed to do... and that is to use all these various "effects" totally consciously and as an integrated part of the music to produce symbolically the values I am trying to express. That said, listen to the Firebird Suite. It is so joyfully triumphant and none of these newly developed techniques would possibly be able to improve it, only detract from it. It is one of my favorites because I think it represents a struggle. It goes back and forth from grandeur to almost a pessimistic and loathing melody and I think the few brief moments of life and grandeur it offers is representative of the struggle man has in this current state. Prokofiev has written some terrific, moving melodies. Spartacus, for example. If you know music theory, you must have come across the method of analyzing a melody in terms of how it "plays" the scale of the key in which it is written. The scale can be played plainly and directly, or with embellishments, indirectly, slowly, etc. A melody plays its scale in some fashion along these dimensions of variation, and it lays emphasis on the major steps ( 3rd, 5th) or perhaps dallies on the 2nd or 7th, finally resolving to the dominant tone. Classical music plays a melody with great detail to its progress: up some, down, back up, etc., as it moves through the scale, relating different paths to one another, adding, of course, the rich variability of harmony and accompaniment. So levels of music can be understood in terms of how they fulfill the task of doing this simple thing--playing the scale, but doing it ingeniously, and in ways that express the composer's chosen affect. The simplicity, in contrast, with which pop music of the last decades has, for the most part, chosen melody is so extreme that most songs are unbearably monotonous and repetitive. Heroic and romantic music has aim, development, scope, and integrity (among other things.) These characteristics describe the music itself as it performs its task of "playing the scale," and they describe the characteristics of an adventurous, etc., life. That is how the music is "meaningful." "I want to hold your hand..." though it isn't a bad melody at all, is so plain and simple, it conveys, by contrast, little more than one's enthusiasm for a good meal. That is the main difference between "classical" and folk or pop music, though there is a huge range of quality in both the music and the performers, outside classical music. Coming up through the school music system, I heard and played classical music from elementary school age. It is a great way to be exposed to fine art, and teaches many valuable lessons besides the artistic ones. I, myself, never think about the emotion of a piece of music. I'm not sure why. It seems made up of events, not feelings. Past acquiring an appreciation for classical music, one comes to discriminate performances, and past that, performers. Has anybody heard Arkady Volodoz (sp?) perform on the piano? He is absolutely superb! Perhaps you'll post about your progress with this? It is a problem I find I think about everyday. How do I write music which isn't the work of a second hander (the analogy would be the work of Peter Keating in the Fountainhead) but also isn't this stupidly psuedo-intellectual foolery? Start with a melody. Write a beautiful melody. I hope very much you find your right niche. You been making melodies a while now? I was wondering. Do you also take performance music in a particular instrument at school? While we still lived in Chicago, we attended a number of the Music Now concerts of the CSO, as my partner’s younger son is a cellist sometimes invited to perform with them. Lots of different kinds of things being written, some making for quite fresh, interesting experience. Even though some were just applauded because they were over, it was neat to experience what is being composed today in classical music (absolute). In that series, they also explain, right before the baton, some of what is going on in the piece. There was pretty good attendance, which surprised us. Here are a few of my favorite “modern” things. Many young composers start with songs—at least they did in my day. Writing songs just seemed a natural thing to do. Once, in Rome, I spoke about songs with Richard Strauss. I said, “O, Herr Doktor, I wish you would write some more of them.” He replied, “One writes songs when one is young. I will never write songs again.” And then he wrote the Four Last Songs [at age 74, in 1948]. This is one of my favorite symphonies by my favorite composer (if I really had to pick just one composer). It is his Seventh, known as the Leningrad. Rand mentions this theater in We the Living. Below is the story of its first performance, while the city was under siege. It is thought that Rand’s parents died during the siege, which took the lives of 750,000 residents. This is one of my favorite symphonies by my favorite composer (if I really had to pick just one composer). I’m finishing up Shostakovich and Stalin by Solomon Volkov, and came across some interesting things. Conclusion: Shostakovich and Rand traveled in the same circles. They attended the same high school, the Stoyunina Gymnasium, and were of course only a year apart in age. Shostakovich, aged 11(! 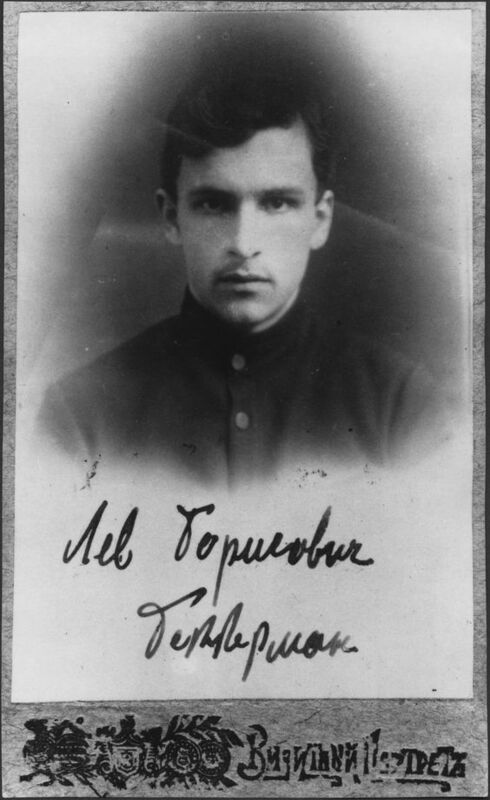 ), had a piece of his performed at an assembly at the school, a memorial for some anti-Bolshevik figures who had recently been murdered. This was in January 1918, and I haven’t gone back to check exactly when Rand’s family fled to the Crimea, so I don’t know if she was (or rather, could have been) there. The Lossky family were friends of the Shostakovich family. The latter hosted the former for dinner immediately after they were ordered into exile, in the brief period before their departure when it was most dangerous to be seen interacting with them. Quick background on Lossky, he was a distinguished philosophy professor that Rand took a course with, and spoke of later as being important in her development. I’ll refer you Chris Sciabarra’s writings on the topic for details, the really important point being that she had to go well out of her way to take his course, and it was the last time he taught it before being exiled. Shoot, there was another data point, now I’m drawing a blank. It’s an interesting book. Quite grim, naturally. This was in January 1918, and I haven’t gone back to check exactly when Rand’s family fled to the Crimea, so I don’t know if she was (or rather, could have been) there. According to Barbara Branden's biography (beginning of Chapter 3) they left in Fall 1918. "As an aside, I’d like to mention that the professor for that course would have been Aleksandr Ivanovich Vvdenskii, not Nikolai Onufrievich Losskii, whom Rand had later recalled to have been the professor. Chris Sciabarra wrote a rebuttal to Milgram’s conjecture in his second edition of Ayn Rand: The Russian Radical. I read Dr. Sciabarra’s rebuttal before reading Miligram’s own case, but upon reading the latter, I found it to be the more likely. I should mention, however, that even if Sciabarra were wrong about the identity of the professor, because Rand’s recall was in error, and hence about what was in the course, it could still be the case that ideas of Losskii influenced Rand in the facets proposed by Sciabarra (B. Branden did not buy this, and I'm doubtful myself). Beyond that, what is always more to my own interest and sense of importance, is the correct logical relation of the philosophy of philosopher A to philosophy of B, and that is something that can be worked through (well or poorly) quite apart from any historical influence. (Consider also the posts of Chris Sciabarra in this thread.)" Shoot, there was another data point, now I’m drawing a blank. Stuff I forgot: Shostakovich was acquainted with Zamyatin (though Rand probably wasn't), he had a school friend who sounds like a model for Leo in We the Living and who was executed, and Rand's middle sister attended the Leningrad Conservatory a year behind Shostakovich. I checked Anne Heller's Rand bio and found she claims that the Stoyunina Gymnasium was for girls only. Maybe the sexes were kept segregated. Or maybe Volkov has it wrong. I lean toward the former. I was pretty surprised late in the book that Shostakovich is documented (privately) saying/writing antisemitic things in the 1920's. Obviously he completely changed his tune later (e.g. the Babi-Yar symphony). We already know who Leo was. I don't remember the last name, but the ARI people published an illustrated Rand biography several years ago with a photo of him; no need to conjecture. He went the way of Leo in the book and was executed in the 1930s, long after Rand emigrated. Yes I know. But the character was likely a composite, since the "real" Leo (Lev Bekkerman) didn't have the war hero father. Which the person from Rand's school, that Shostakovich knew, did. In any event, there's really not much to see here, no great revelation. Maybe they (Rand and Shostakovich) were acquainted, maybe not. For my part, I can't resist chipping in a mini-eulogy to my favourite composer of all time, Anton Bruckner. Bruckner's work has really added to my life perhaps almost as much as Ayn Rand's. All of his symphonies, for me, express emotions of glory, grandeur, awe and exultation. They all contain adagios which express a kind of sad wandering and yearning, but which gradually and inexorably build up and transform into crashing waves of ecstasy and resolution. They all contain scherzos bordered by the relentless energy of 19th century industrialisation, contrasted with inner islands of carefree melody. They always culminate in a massive monumental coda, always ending in a blazing major key, in an atmosphere of celebration and joy. In every moment of the music, there seems to be something greater being expressed. There is a pervasive "largeness", a sense of a greater unity that can only be appreciated after many listenings, when the music has finally surrendered all of its secrets, and all that's left is to marvel at a lifetime of driven, dedicated handiwork. The last 5 symphonies especially exhibit a cyclic, integrated design, in which elements of every part of the symphony interact throughout the work, and are finally brought together in the finale. The coda of the 8th Symphony does this in a particularly impressive and moving way. The guy spent his whole life studying and writing music. Clearly he had a passion for the work, and wasn't just trying to be popular or rich. He also spent a significant portion of his life in the Sankt Florian cathedral, an immense, beautifully ornamented structure, one which must have given him inspiration every day. He surely had traits Rand (and I) would disapprove of, particularly belief in God and a bit of an obsession for teenage girls. That said, I think the idea he was humble or self-doubting is a complete myth. The many alterations he made to his symphonies, rather than humility, seem to evidence a passion and love for the craft and a desire to constantly improve and strive toward perfection. They also offer a fascinating and enjoyable experience in their own right. How many other composers can give you glimpse into two or even three slightly alternative visions of how a single work might have been realised? I find it enriching to see the master reveal some of his process, not just the end result. I must also add a word of praise for a female composer who I think doesn't get enough attention: Lili Boulanger. The 'Old Buddhist Prayer' in particular strikes me as most exultant and uplifting. Obviously the reference to 'Gods' is a bit suss. But I do love lyrics like: "Let all those beings which exist -- without enemies, without obstacles, overcoming their grief and attaining happiness, be able to move freely, each in the path destined for them". That's the kind of feeling I like to have in my head when I wake up in the morning. I guess what I get most from both composers is the sense of a world that is large, awe inspiring and full of endless potential. That last part might leave a wrong impression. When he was middle aged he tried to get into an arranged marriage, and it had to be with a virgin. This was because of his deep Catholic religious commitment, not that he was a pervert. I bet he died a virgin himself. On at least one occasion the father had to tell him he was too old. Here's a funny (and/or creepy) anecdote. Bruckner was one of Hitler's all time favorites, along with Wagner, Lehar, and Kalman (also a particular favorite of Rand's (and a Jew)). The conductor Herbert von Karajan related a story (this is in one of the bios of him) that he went to St. Florian's at Hitler's behest, and Hitler accompanied him to the crypt below the altar where Bruckner is buried, and had him stay alone there for an extended period (half an hour or so) to absorb Bruckner's spirit. He said it was just dark there and that whole experience was uncomfortable (not at all inspiring). Ah. This is one of my favorite movements of his symphonies (although I generally like them all). I find music (absent lyrics that is) evokes pure emotion devoid of cognitive content, even though the writer may have been thinking of something specific which inspired him to evoke those emotions in his or her music, and even though the formulation and composition of the work may have involved a great deal of thinking, principles of composition etc. Another musician may be engaged in the composition of the work from a compositional perspective, in a sense, analyzing and admiring what the composer did as a musician himself, and so music can inspire musical thought, but the music does not have content as such, and although one might have feelings of joy, peace, sadness, loss, yearning, etc. wash over one while listening, no ideas of any kind (or even any specific ideas of these evoked emotions) are actually conveyed, just the feelings. In essence, music allows one to image or think about whatever one wishes to accompany the emotions washing over him or her; listening to classical music can and usually does involve a great deal of participation by the listener. Couldn't agree more. It looks passive to be just sitting there in the audience, but so much is going in the mind, if you're really listening. Bruckner's (and so many others') music is something that's been with me in so many moments of my life, both difficult and triumphant. Music is really there for me sometimes, in a way that people in my life can't always be (not faulting them for that). Beneath the religious elements, which are certainly there, Bruckner's music for me speaks of the hope of a better world, of a brighter future, and of great passion, conviction and dedication to ideals. Ok... I really have to put in a word for Pierre Boulez. I was confused for a while, because on the one hand, Boulez (and much other modernist music) seemed dazzlingly complex and admirable in its ambitions and scope, from stretching the tonal system to its limit to experimenting with electronics. But on the other hand, I had read parts of Rand's writing (I think it was in the Romantic Manifesto), where she refers to incomprehensible squawks, shrieks, etc of much modern music. In the years since, I've listened more to Boulez, Stockhausen and others, and also heard better and better performances, like this performance of Répons in 2015, and come to the conclusion that this music is really a great achievement (thought I don't claim to yet entirely understand it), and that audiences of the future will appreciate it more and more. How do I square this with Rand's views expressed in the Romantic Manifesto? Simple: she only ever claimed to be a philosopher and novelist. She never claimed to be a musician or a musicologist, in fact, she (quite rightly) left the vast field of philosophy of music to future specialists to discover. So it would be unfair to expect her to have had a sufficiently thorough knowledge of musical theory, history, etc. as to be able to grasp and appreciate the greatness of (some) modern music, especially at a time when it was so nascent and undeveloped, particularly in the performance aspect. She was right to listen to music that both she loved and that was legitimately good music, which I think Rachmanninoff is. One can treat her preferences in music the same way as, say, in food. The best (and I mean, objectively best) chefs of her time might have found her food choices objectionable, but that would have had no bearing on her primary field of focus, which is philosophy and literature. I suppose one could criticise her for expressing any opinions at all on something outside of her primary field, but I think that'd just be nit-picking. What matters is the essence of her philosophy, not details she might have missed out due to lack of knowledge. After all, you could say the same of Aristotle. He was no doubt wrong about many aspects of science / the natural world. But what endures and remains of value - his ideas in metaphysics - is no less an achievement. It might also help if we could clarify just which modern music Rand was referring to. I adore Classical Music, it is my favorite. I'm listening to Mahler's Symphony 1.